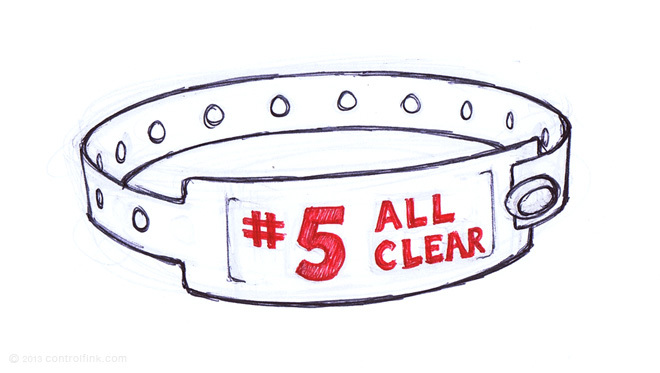 Strictly speaking, this is wristband #6 in my collection, but the fifth check up. I got some value for money, had a vasectomy thrown in – now with 50% less calories! Hence the “cryptic” previous post.